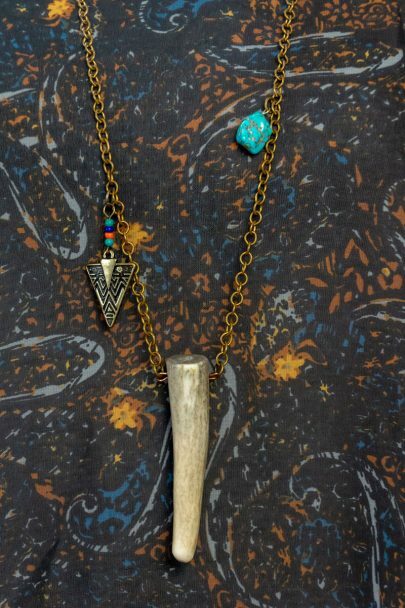 This Mystic Antler deer antler tip pendant features a 3 inch hand cut and polished deer antler tip securely attached on a 16.5″ gold colored metal chain and embellished with one faux turquoise stone, 4 small colored beads, and a 1″ copper-colored arrowhead. A. Each Mystic Antler Jewelry piece is individually handmade and handcrafted by one of our artisans, so you’ll be getting a unique one of a kind jewelry item. There will be no two exactly the same. Once, the jewelry item has been finished, and then looked over closely by one of our mastercraftsman to ensure only the best quality. Antler tip pendant has a hole drilled through it to securely attached to the chain. 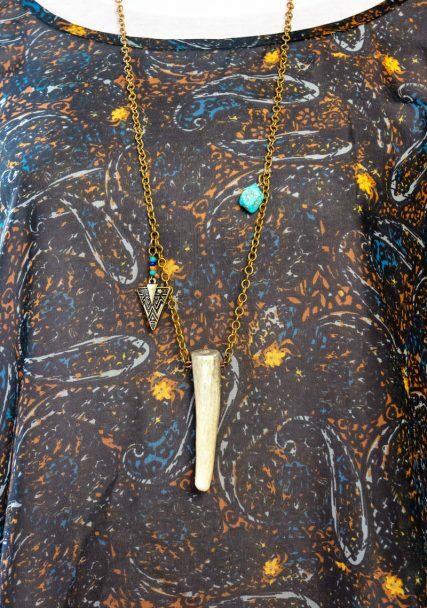 Each antler tip hangs securely from an affixed chain, leather, hemp or other necklace materials. 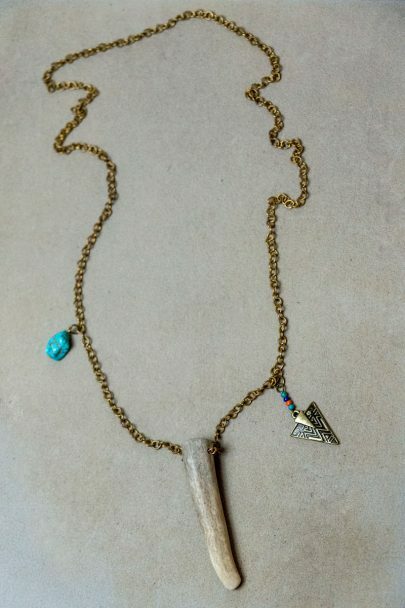 Antler tip pendant measures approximately 3″ long.